What is a plugin and what do they add to a Wordpress website? It may seem a very straightforward question to some for people new to WordPress, learning all about Plugins and Themes can be daunting. The easiest way to describe a plugin is to compare it to an app on your smartphone. 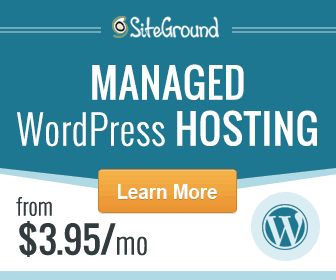 It adds functionality to your website outside of the basic default WordPress capabilities. With a basic WordPress install, you have the ability to create a blog or a website. It won’t be very fancy or creative but it will get the job done! With the addition of certain plugins, you can create a beautiful image gallery, a unique looking menu style, start an online store, create a membership site, the list is endless. If you are ever searching to add some kind of features to your site, chances are that someone has created a plugin to do the job. Plugins can be very lightweight and designed for the smallest of tasks. They can also be big and powerful and build huge online stores. Over at the WordPress plugin directory, there is somewhere in the region of 50,000 free plugins. It must be said that not all of them are excellent but with a small bit of background work, it is very easy to sort the good from the bad. There are also thousands of premium plugins available. Premium plugins require a fee for their service, some yearly and some as one-off payments. While not everyone wants to pay for a plugin, the fact is that certain tasks can only be accomplished through the use of a premium plugin. Personally, I don’t mind to pay for a service if I feel it is worth the end result. You must also remember that when authors are getting recurring revenue from one of their plugins, then it’s in their best interest to keep working on and improving it. Free plugins run the risk of an author not getting any value from his work and giving up on it and no fresh updates may cause problems down the line. Don’t let that scare you though, there are many free plugins installed on this site and tonnes of excellent well-coded ones out there! Some plugins can be very resource intensive so it is a good idea to keep the number of plugins as reasonably tidy as possible. Obviously small sites can run with 4 or 5 plugins. Larger websites that demand more features can have anywhere from 20 to 50 plugins. It is always a good idea to keep control over a plugin and if you ever need to remove it that you have an idea of whereabouts on the site it is used.